We received these books in exchange for an honest review. All opinions are my own. You may remember back in September when I mentioned the Usborne booth we saw at the Yankee Doodle Homecoming. That day we came home with some awesome new products from Usborne and were given a number to contact for opportunities with Usborne. Well, needless to say, a month later after tossing the idea around, we decided to become independent consultants as well! We are so happy to work with such a wonderful company that does their very best to bring books into the lives of children! 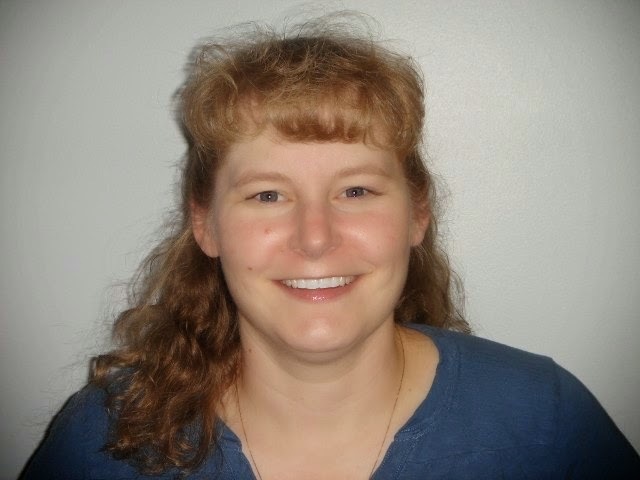 I am so excited to partner with Heather McConley, an Usborne book representative, to bring you a book review! 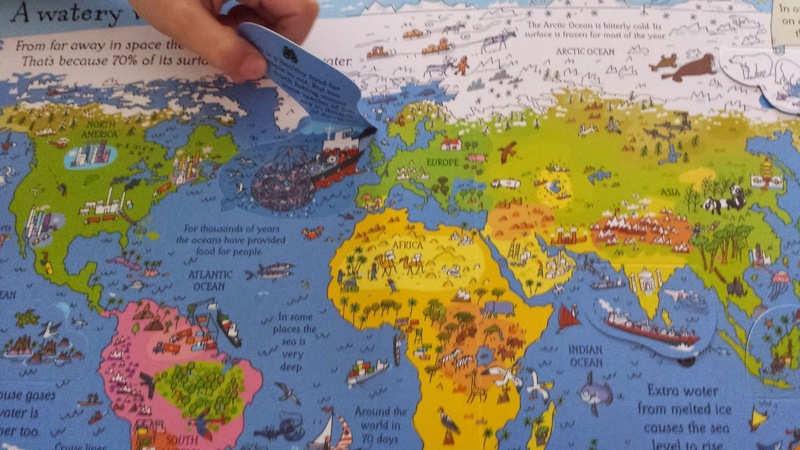 The books we choose are perfect for children in preschool-kindergarten or older. I grew up in Washington state, but moved out to New England in 1994, and love it here. I am an experienced mom (kids are now 12 & 15), and my family is a family of geeks. We watch Doctor Who and Sherlock, and play tabletop games for fun, among other things. I read voraciously too, garden, and volunteer at our church and at the kids' schools, in addition to working from home. I've been with Usborne for over 8 years, and my kids have grown up with Usborne, since I started having parties and falling in love with the books when they were 1 & 4. I love helping kids love reading. I love preschoolers best of all, and love helping families learn more about how to encourage their children. 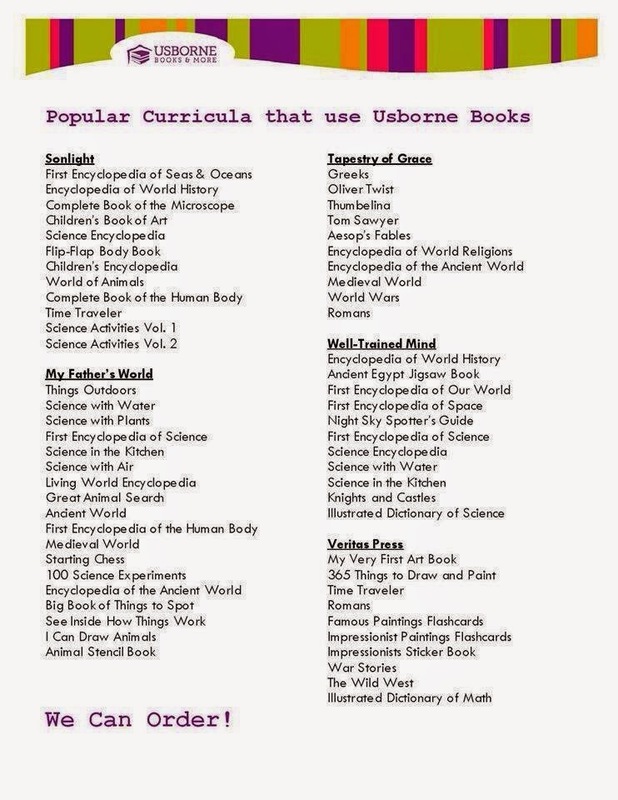 Usborne has given me tons of "extra" benefits -- in addition to a huge home library and an extra family income, I have earned 2 trips and 2 iPads, in addition to being part of President's Club and earning national awards. To stay up to date in the Usborne world, follow Heather's WonderFunBooks Facebook page. To order books, sign up to host a party, or sign up as a representative, visit her WonderFunBooks Usborne page. Usborne Books and More offers all kinds of unique children's books, learning materials and fun products, from flash cards to board games! In addition to offering these books for sale, you can also host parties (online or in person) to earn free books, or even start your own business by becoming an Usborne independent consultant and earn extra income! Usborne offers a 100% satisfaction guarantee and a lifetime 50% replacement policy when bought through a consultant. That means if your little one rips off the flaps or the book has been so well loved and has clearly seen better days, simply contact your consultant and they will help you replace the book at 50% the original price! 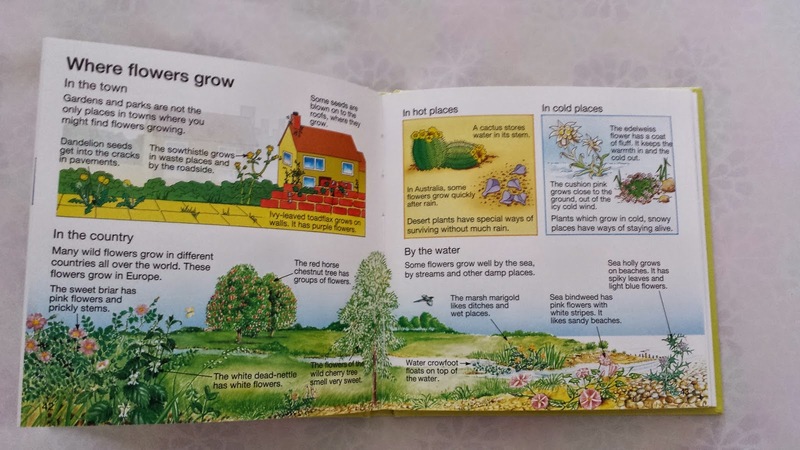 We have been reading Usborne books since the kids were young, starting with the That's Not My... series, other touchy-feely books (great for sensory exploration) and the My First Books series. Then we moved up to the early readers and phonics books. We especially love the lift-flap books, bedtime story books, illustrated dictionaries and beginner books, based on popular themes, like pirates and firefighters! 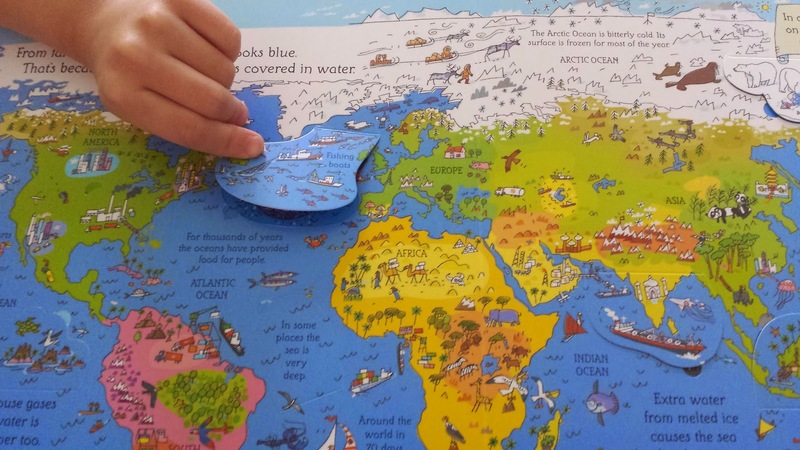 We are homeschoolers and absolutely love Usborne's educational books and products! 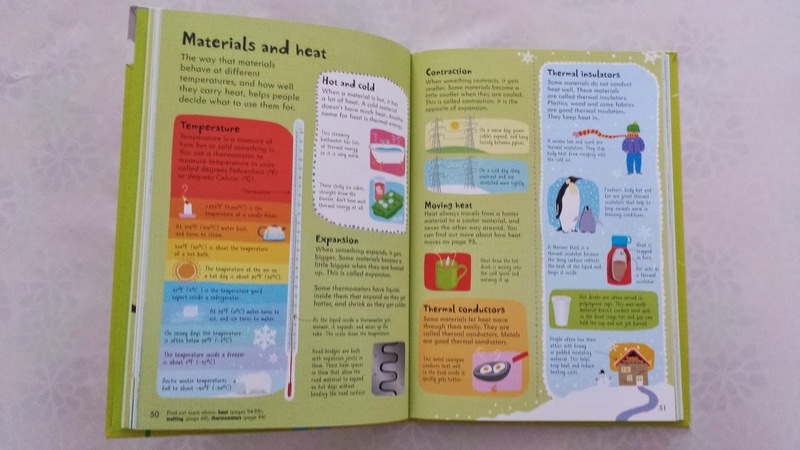 So when we were given the opportunity to review a handful of books from Usborne, we had a good idea of which ones we wanted to add to our home library: science books! 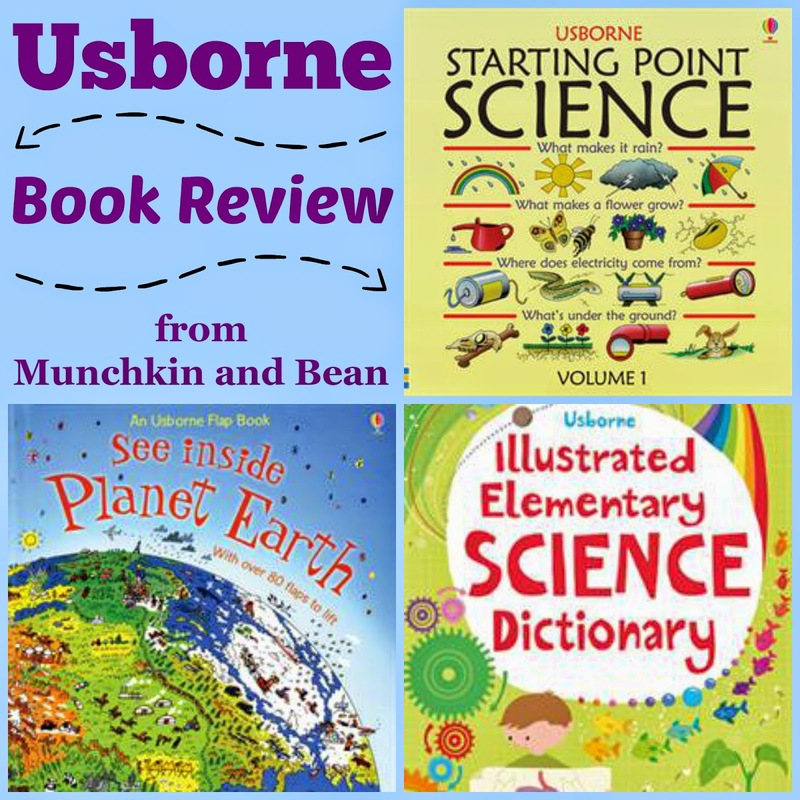 Science is one of my children's favorite subjects and Usborne has so many science books to choose from, including illustrated dictionaries, experiment books, activity books and even a few lift-flap books! I actually remember growing up with the Starting Point Science series, so it was really exciting to bring the first volume home to my kids! I truly hope Usborne decides to release new editions of the other volumes in the series. Otherwise they would be next to impossible to find, since they were originally published in 1989. 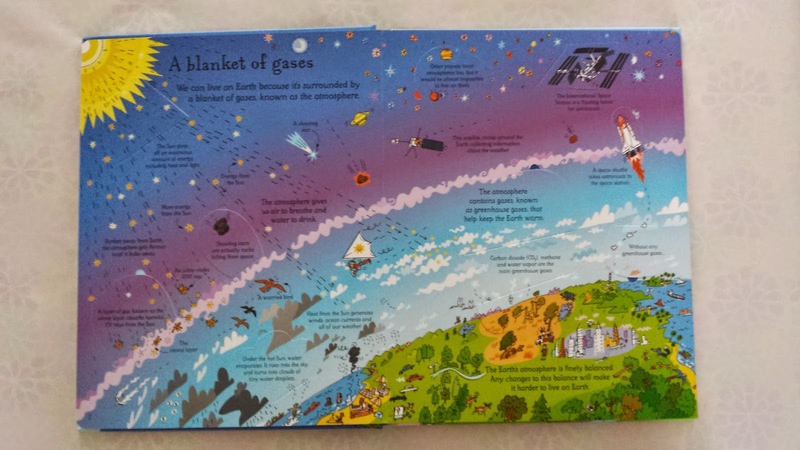 Regardless, Usborne has plenty of other science books for inquisitive children to read and learn from! 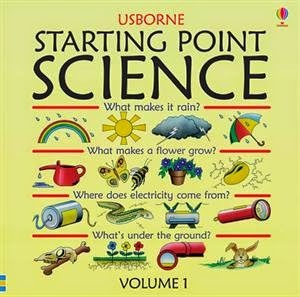 Starting Point Science Volume 1 is a great beginner book for young children who ask lots of questions! 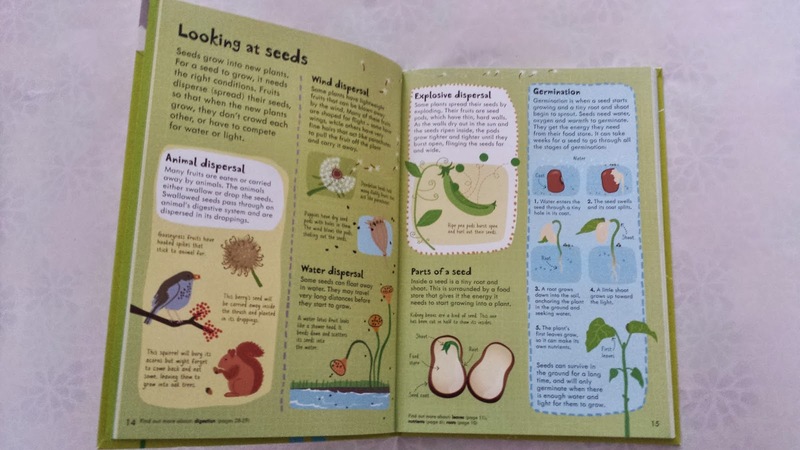 Children will learn about nature, science and technology, while the book answers some common questions: What makes it rain? What makes a flower grow? Where does electricity come from? and What's under the ground? So if your kids are wondering where the water goes after it rains or how light bulbs work, this book will answer their questions! Starting Point Science offers tons of useful facts, information, and even some activities and experiments! 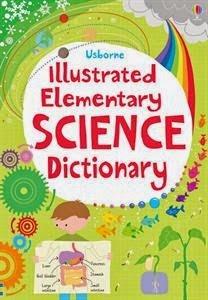 Illustrated Elementary Science Dictionary is one of Usborne's many illustrated dictionaries and we love it! Normal dictionaries are so plain and boring, and rarely go into much detail, apart from the bare minimum of facts. This book, however, goes into great detail about many science terms and makes it so much easier for children to understand. And one of the many great features of this book is that it will always be up-to-date, because it is linked to Usborne's Quicklinks website. That means that certain pages may direct you to the Quicklinks website for additional information on the subject. And many of the pages have helpful notes at the bottom of the page that will direct you to other pages to explain more of the terms used. This dictionary is perfect for children ages 8+. The First Illustrated Science Dictionary would be ideal for children ages 6+ and the Illustrated Dictionary of Science is perfect for children ages 12 and up. See Inside Planet Earth introduces children to the interesting world we live in. There are over 80 flaps to lift and learn more. 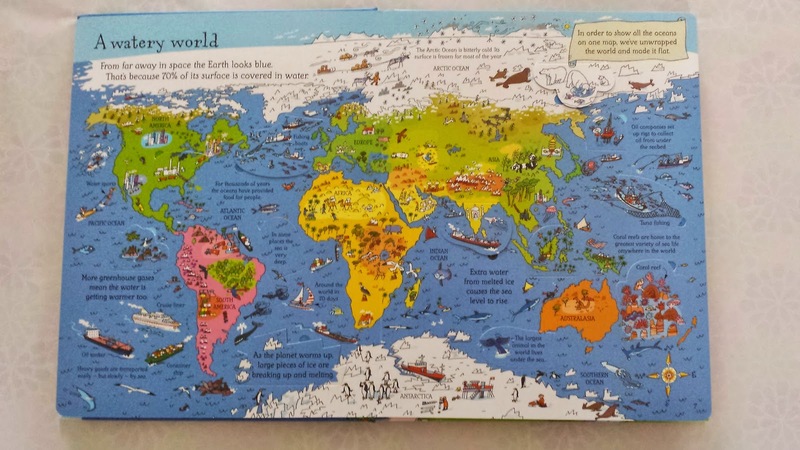 This book goes over earth in space, environmental issues, like climate change and our responsibilities to live greener, and explores our watery world, different climates and some basic geography. 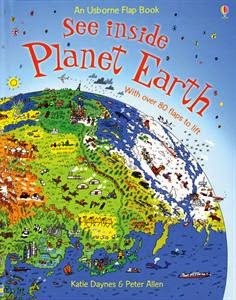 The kids can spend hours pouring over this book, asking questions and practicing to read and love learning more each day about our planet! All three of these books instantly became the source of many questions and inspired multiple learning activities. We loved reading them and look forward to adding more Usborne books to our home library! If you are interested in purchasing Usborne books, please visit our store. If you would like to host a party or join, feel free to contact me for more details! Disclosure: I am an Independent Consultant for Usborne Books and More. If you make a purchase through the links provided on this post, myself or Heather will make a small commission from the purchase (which will not effect your price). Thank you for supporting small businesses!